We are plastics industry professionals, each with over 25 years of relevant plastics and plastics consulting experience. We understand plastics processing, resin markets and the details of plastics mergers and acquisitions. When you work with Mathelin Bay you work directly with us, not with junior level analysts or consultants—so you can depend on our deep knowledge base, extensive industry contacts and our strategic insights to reach your goals. Phillip Karig has worked for over 20 years in the plastics industry, most recently 9 years as Vice President of Purchasing and Supply Chain Management and then Vice President and Chief Procurement Officer at Spartech Corporation (portions currently Spartech LLC and formerly PolyOne) a US $ 1 billion company that performed sheet and rollstock extrusion, injection molding, profile extrusion, calendaring and blown film extrusion, as well as compound and color concentrates production. Previously, he led the procurement and logistics functions for 11 years at Uniroyal Technology Corporation (Uniroyal Plastics), which produced Royalite brand extruded sheet products, Naugahyde brand vinyl coated fabrics and Ensolite brand foam products. Prior to Uniroyal, he was at Leaseway Transportation Corp. (Currently Penske), a US $ 1 billion public company, for 5 years as a Strategic Planner before assuming Profit and Loss responsibility for a network of bulk plastics warehouses and rail to truck plastics transfer facilities. During his career he has purchased multi-million lbs. quantities of plastic resins, including: ABS, ASA, SAN, Acrylic, Polycarbonate, APET, PETG, PVC (suspension and dispersion), Polystyrene, Polyethylene, Polypropylene and more. Mr. Karig earned his Master’s degree at Harvard University and his Bachelor’s at the State University of New York. He is a National Science Foundation Undergraduate Fellow, has taught Game Theory and Decision-Making, and has also worked with the U.S. Department of Commerce and the Lake Placid Olympic Organizing Committee. He is board member of the Society of Plastics Engineers Thermoforming Division and speaks English and German. Bruce A. Petersen has more than 30 years of international experience in plastics compounding and resin distribution. 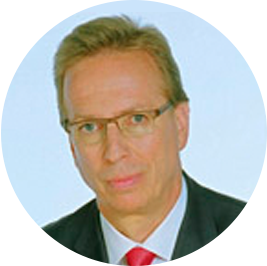 He has served as a senior executive, principal and board member of firms in North America, Europe, and Asia including Vice-President Materials Management of A. Schulman, Inc., President of Diamond Polymers, Inc., and Chairman and CEO of Lynn Plastics Company, LLC. In 2005 he founded consulting firm PCS, LLC offering management and technical expertise in the polymer and chemical industries. The firm’s activities have included strategic and tactical planning, financial modeling and task-force execution, establishing factories and management teams, as well as developing supply chains, creating strategic partnership agreements, and overseeing various manufacturing programs. In 2010 PCS, LLC became affiliated with Mathelin Bay Associates LLC, a firm dedicated to helping resin processors navigate the world of resin procurement, cost effective sourcing of support services and materials, and mergers and acquisitions advisory services for plastics, packaging, and chemicals transactions. 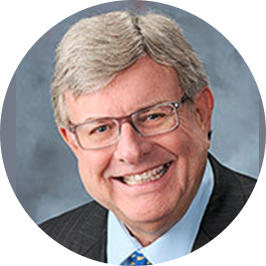 Among Petersen’s many professional plastics affiliations have been President of the Society of Plastics Engineers and voting member of the Society of the Plastics Industry. He is proficient in English, German and Russian. John C. Denzer has over 30 years of experience in the plastics manufacturing industry, including as Market Manager for Polypropylene at Millennium Petrochemicals (now Basell), Director of Sales for Polypropylene at Formosa Plastics Corp. USA, Managing Partner at Resin Technology, Inc. and Global Vice President at Accuma, SpA. He is the founder of the Polyven Group of companies which include Polyven LLC, Polyven Industries LLC and Polyven International LLC which since 2005 have serviced the plastics manufacturing industry by providing key raw materials and sustainable products, technical, manufacturing, business development and consulting services, as well as alternative energy technology solutions. His firm Polyven Industries LLC has a strategic alliance with Mathelin Bay Associates LLC and he has been Executive Partner since 2010. John is a leading industry specialist in Polypropylene technology, manufacturing, product development and commercialization. He has been involved in technology selection and transfer from multinational licensors specializing in BASF (Novolen), Chisso and Unipol technologies from pilot plant to full scale up, creating and expanding new product lines and opening value added markets, and successful commercialization of world scale plants. John completed his MBA studies at Long Island University and holds a BS in Mathematics/Computer Science degree from Mercy College. 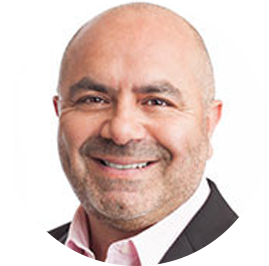 He is an active participant and speaker within the Plastics Industry on technology, recycling and business practices, as well as a member of the Society of the Plastics Engineers and Society of Petroleum Engineers. John is native of Chile and fully bilingual in English and Spanish.